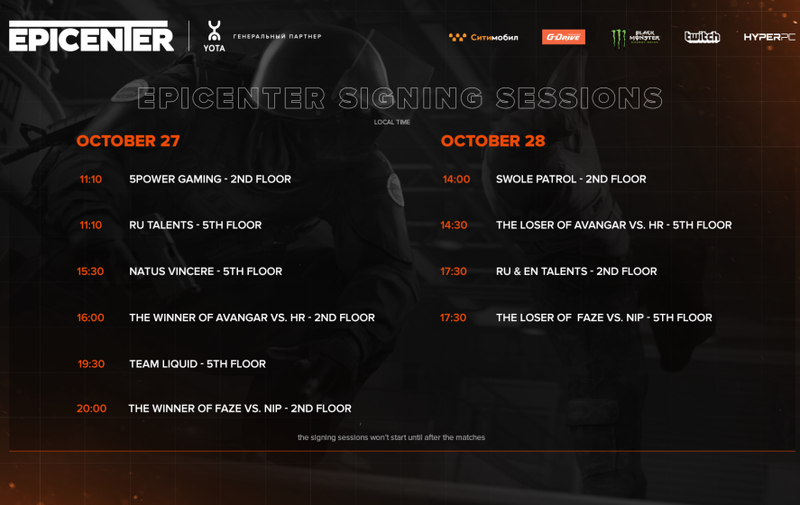 Here is the schedule of EPICENTER signing sessions! We are saddened to announce that due to a tight schedule and internal issues, Virtus.pro and ENCE eSports have been unable to remain at the tournament and meet their fans. We’ve been forced to cancel these two teams’ signing sessions. We apologize to their fans. Ticket holders who are eligible for signing session passes can claim them in the gifts area on the 5th floor. You can pick up your pass on either of the two days of the playoffs, whichever is convenient for you. The gifts area is open from 10 a.m. to 6 p.m. every day. Purchase your tickets at ticket.epicenter.gg and get those coveted autographs!